Life can present us with challenges that are beyond our control. Sometimes we may find it hard to cope with certain events. Relationships may be strained, poor health may arise, or jobs may be difficult to deal with. We may also struggle with grief or the loss of a relationship. In any of these types of events, we may feel alone and not know what to do to feel better. If you find yourself at this place right now, you are not alone. We all experience feelings of sadness or increased stress at different times of our lives. Sometimes we struggle with finding the right answers for our life concerns. As a Licensed Professional Counselor, I am here to offer you support and to help you find solutions that work for you. As a Counseling Professional, I specialize in helping you to learn ways to feel less overwhelmed and more in control of your life. My counseling style is one that reflects openness, a nonjudgmental attitude, empathy, use of active listening, positive regard, and respect for you. I offer a strength-based, solution-focused approach to help you identify your strengths, look at different ways to address the difficulties you face, and discover ways to feel less stressed and more in control of your life. Please know that you are not alone. I look forward to working with you to help you learn how to increase your feelings of personal empowerment and reclaim the joy in your life. Janet Huff has helped me so much. She always responds in a timely manner and if she is having a busy day she will let me know when she will respond to me. She actually heard what I am saying when I talk. I would definitely recommend Janet Huff to anyone looking for a therapist. I think she is good at what she does and listens very well. Understands and tries to make suggestions for resolution of their problems. So far in my short experience with Janet things have been going great. She makes all efforts to connect with me on my issues and give me resources to help find my way back to a good place. I am grateful to have been placed with her. Thanks so much Janet! I have enjoyed my counseling with Janet so far. She understands my concerns, is extremely easy to talk to, and offers valuable resources. She does not judge, and is great. I believe I have made (and will continue to make) progress while working with her! Janet was a great listener and was very practical. She helped my greatly during my time of sorrow and I would recommend her to others that need to work through their problems. Janet has been a wonderful, consistent resource for me. Having struggled with overthinking about nearly every aspect of my life, Janet has helped me work through and understand my feelings, thoughts and emotions, and has provided productive methods and techniques to keep feeling strong. She always makes me feel capable, confident, and on track. Janet is so great to work with. She listens and gives good/usable feedback. I’ve enjoyed using her for my counseling needs. Janet has gently challenged and guided me into addressing a lot of the unexamined parts of my life that were keeping me depressed and anxious. Always supportive and willing to provide outside resources, I credit her with helping me become the most mentally healthy I've ever been. Janet is so compassionate and caring.... She is a great support in a difficult time I'm going through now. She understands my problems and offers excellent ,practical advice that has been a great help. I was in a deep pit of depression when I first contacted Better Help and started talking with Janet. She has helped me beyond words. No words can describe how much I appreciate her! Janet was completely understanding and spent a truly large amount of time understanding my specific position. My relationship with a personality disordered person meant she did a host of research along with her personal knowledge of the subject to assist me. Truly something unheard of. Unlike a traditional setting, her ability to convey suggestions and direction rang through her written and voice communications. Janet is kind, encouraging, and supportive. She responds quickly to any messages and provides great live sessions. She is a great listener and she has done everything in her power to make sure I have every tool at my disposal to tackle issues such as anxiety and stress. I am grateful for her! I would recommend her to anyone looking for this type of therapy. She is awesome. Very thorough and responds in a timely manner. She will also check on me every couple of days to be sure I am doing well. She listens very well to everything I have to say. Janet Huff is giving me the tools I need to learn how to manage my anxiety. That has always been the missing puzzle piece. Janet is an excellent counselor. She has helped me tremendously throughout this experience. She responded in a timely fashion and was very helpful! I wouldn't recommend her to anyone who is needing help. Janet is incredibly insightful and helpful. Moreover, she is a calm force in a storm. By that I mean she is a consistent and gentle force guiding me through some strong personal exploration. She asks good questions and gets me to really think about the things that I need to work on. She is amazing at helping me see things in a different way than I ever have before. Janet is great. She takes the time to learn things that will help me. She recommends books and articles because I like to read and learn. She is flexible with her schedule and doesn’t shake me if I have to reschedule at the last minute. I have only had a few sessions and was very skeptical that this process could work. There is something therapeutic about the anonymity as well as Janet's calming demeanor. I can hear a calming response while I read the page. I would highly recommend Mrs Janet to anyone in need of guidance and reassurance. She genuinely cares about you as a person. I am so glad that I found this program and was matched up with her, because she helped me overcome a very difficult time in my life. Life around me is hectic and seems uncontrollable at times, but Janet gives me such good advice and just her listening and validating my concerns and anxieties is really meaningful. Ms. Janet is really helping me with my current issues in life. She listens to me and offers help ASAP. She understood what I'm going through in my life. She also checks on me every once in a while. Janet is very thoughtful and always checks on you to see how you are doing throughout your struggles. Janet is EXTREMELY helpful! She gives a great point of view and has guided me through difficult situations in my life. I HIGHLY recommend her. Janet is amazing and has truly helped me in my my mental health journey. I could not be happier with my counselor. I look forward to our sessions every week and I feel so much better after every one. Very, very happy. Janet takes time to make you feel like you are being heard and understood before offering insight into your situation. It is very refreshing. Janet is very nice & easy to talk to. She is thorough with keeping in contact with me & appreciate her insight on my life. 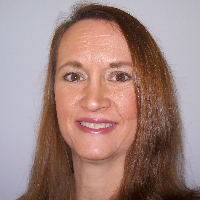 Would you like to write a review for Janet Huff? We'd appreciate if you can spend a couple of minutes to write a short review for Janet Huff (MA, LPC). This review would be shared with Janet Huff. It may also be posted in our website or in Janet Huff's profile but it would be anonymous and your identity would be kept completely confidential.